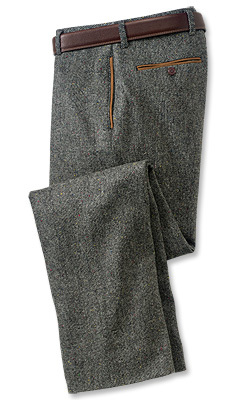 These finely woven lightweight pants have been a favorite of Orvis customers for years. Amazingly wrinkle resistant, cool, ultrastretchy 5.5-oz. twill. Hidden zipper security pocket inside the right front pocket. The classic-fit men's chinos are cut trimmer through the thigh. Belt not included with these men's chinos. Polyester/cotton/spandex. Washable. Imported. A little stretch goes a long way. Orvis's newest Supercords incorporate just a touch of stretch to offer you incredible freedom of movement. These stretch corduroy trousers are cut from exceptional and exclusive Brisbane Moss English 8-wale corduroy; tailored in Europe in the classic Orvis fit. Interior taping detail for long-lasting wear. Quarter-top front pockets. One rear button-through pocket. Cotton/Lycra®. Dry clean.